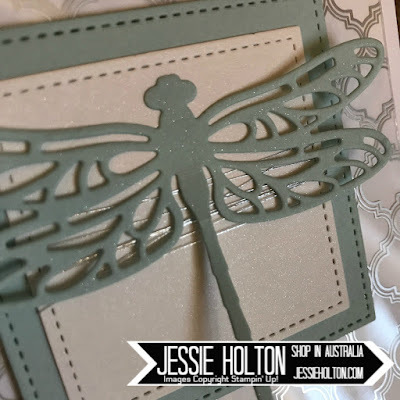 I've done a pretty close case of Tanya's card cos I thought it was really pretty. I have used a Thick Whisper White cardstock base with a layer of Fabulous Foil Acetate - it's silver on one side & gold on the other. Just make sure you take off the protective layer so it's super glossy. I've used the two largest Stitched Shapes square dies to cut a piece of Soft Sky & Shimmery White. 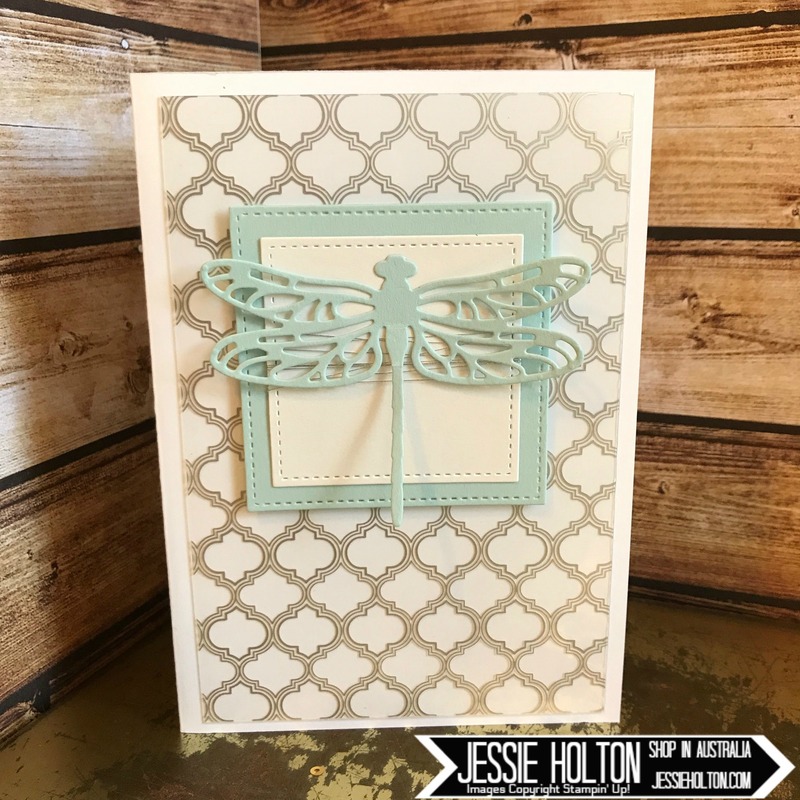 I've also used the smaller Dragonfly from the Detailed Dragonflies dies on Soft Sky & coloured over with Clear Wink of Stella. And I wrapped some Silver Metallic Thread round the smaller square. 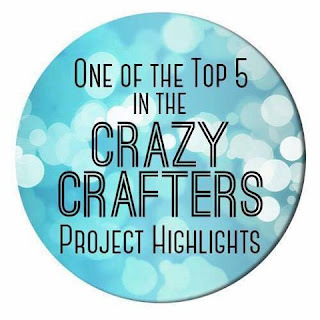 ***UPDATE: I'm excited to announce I got fourth place in the Crazy Crafters Team Project Highlights for this card! Check it out here.